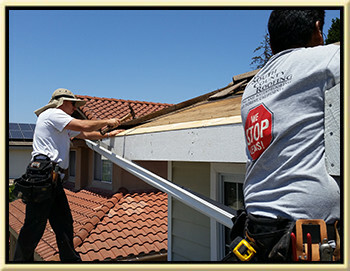 San Clemente Roofing, Roof Repair, and Broken Tiles San Clemente, Ca. 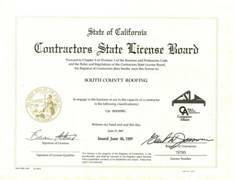 San Clemente Roofing is your local roofing Contractor providing free roofing, roof repair, roof tune up estimates for San Clemente, Dana Point, Laguna Niguel, Laguna Hills, Mission Viejo, Ritz Cove, and Emerald Bay. 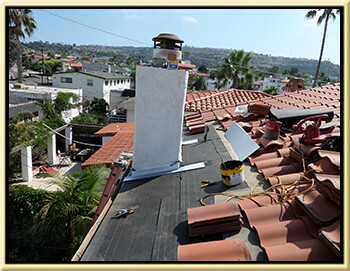 South County Roofing is your local residential roofing specialist for San Clemente. We have a team of experienced and skilled workers that can provide your roof the extra care it needs to make sure that your roof remains leak free after we have repaired it. 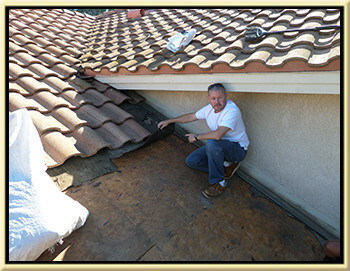 Our roof repair service has a great track record in San Clemente, Dana Point, and Laguna Niguel. Over the years we have fixed hundreds of leaking roofs in San Clemente and repaired even more roofs performing much need roofing maintenance. Whenever you choose to work with us, you are going to get time tested and quality construction methods which ensure your roof repair will last the test of time. At the same time, you will get an unsurpassed reliability and performance. We always stay ahead in the competition with a top notch and quality roof repair and roof leak detection services for San Clemente. 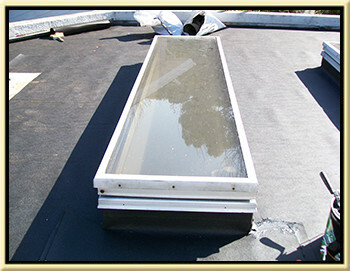 South County Roofing has been providing Orange County residents with quality roofing and roof leak repair service. We always use the best and the highest quality in residential and commercial roofing products to work with. We never take shorts cuts, ask for payment in advance, or leave job unfinished. South County Roofing and roof repair is insured, licensed, and has all of the experience needed in assisting our client with all of the needs in their roofing issues and concerns. Our company is small yet a specialized roofing company which is focused to provide the services we do for roofing, roof repairs, and general roof maintenance. If you have a concrete or Spanish tile roof we could also help you change your slipped or broken roofing tiles. We specialize in tile roof repair, and maintenance. We know how to work with your tile and keep in good shape. We provide the most thorough services for leak detection that you will come across. We are not only going to fix the leak that you have in your roof but we are also going to find the source of this leak and ensure you that it will be properly repaired. We always do one job at a time and we always finish every job that we are assigned to before we start on a new one. We never begin a job then leave them behind not until they are done. We will show up every day until our job is done and then we are going to move forward with the next project. South County Roofing does professional and thorough roof inspect for new home buyers and existing home owners who want to know everything they need to know about their roof in order to keep it in good shape without spending too much money. All roof inspections are done yours truly (Brian Atkins). 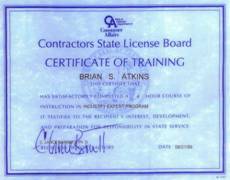 Having a guy with more than 25 years of experience with an inspecting and roof repair knowledge will be a great advantage for you. I am thorough and I don't miss a thing. You can have the peace of mind that if I go through your roof before your buy the home that you will know everything you should know about it before you make your offer. Our main staff has already been working with us for more than 10 years. All of us speak fluently in English. At the same time, we know that it is very important that everyone could understand one another. The perfect combination of a time-tested repair technicians and quality people lets San Clemente Roofing to provide you a hundred percent money back guarantee if there is a leak that has not been solved as contracted. Whenever you hire our roofing service to repair, tune-up, or inspect your roof, you will be guaranteed that the job is always going to end up perfectly and cleanly, workmanship is going to be amazing, and the materials for roofing that will be used is only of the highest quality. Having South County Roofing repair or tune up your roof is very different from having any other roofing company to deal with your roof problems. Most of the roofing contractors aim to sell a repair or get it done as profitably as much as possible. When hiring or talking with the other roofers, you are going to notice that they are usually going to refer to the main cause of the leak is either here or there, or it could be this or that. Because we specialize in roof leak detection we are going to be able to tell you exactly what the problem is for a best and worst case scenario. We will find you roof leak, take a photo of the leak, and repair it in a manner that it will not come back. We will not patch your roof we only make permanent repairs. Aliso Viejo, Anaheim, Anaheim Hills, Balboa, Brea, Buena Park, Capistrano Beach, Corona Del Mar, Costa Mesa, Coto De Caza, Cowan Heights, Cypress, Dana Point, Dove Canyon, Foothill Ranch, Fountain Valley, Fullerton, Garden Grove, Huntington Beach, Irvine, Ladera Ranch, Laguna Beach, Laguna Hills, Laguna Niguel, Laguna Woods, Lake Forest, Los Alamitos, Mission Viejo, Modjeska Canyon, Newport Beach, Newport Coast, City of Orange, Orange County, Orange Park Acres, Placentia, Portola Hills, Rancho Santa Margarita, Rossmoor, San Clemente, San Juan Capistrano, Santa Ana, Santa Ana Heights, Silverado Canyon, Stanton, Trabuco Canyon, Tustin, Villa Park, Westminster, and Yorba Linda.